This week the DNAnexus team is heading to Boston for the annual Bio-IT World Conference & Expo, to be held at the Seaport World Trade Center. We look forward to this meeting every year for its tech-heavy focus on high performance computing, data analysis, and IT management. This year for the first time, Bio-IT World will include a track on data security, a topic that’s of great importance to us. (As featured in a recent security post from our Chief Cloud Officer, Omar Serang.) Fittingly, many of the talks in this track will focus on keeping genomic data secure in a clinical environment, which represents one of the biggest challenges for our community. 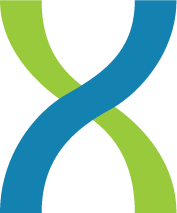 DNAnexus proudly provides the ultimate level in genomic data protection in accordance with CLIA, HIPAA, GLP, ISO 27001, and other international regulatory standards, so that users in hospitals, diagnostic labs, and other clinical environments can rest assured their data are safe with us. Other tracks we’ll keep a close eye on cover cloud computing, tools for data visualization and exploration, and collaborations. We’re eager to share information about the Mercury variant-calling pipeline uploaded by Baylor College of Medicine for the CHARGE project with conference attendees — it’s a great example of a complex workflow of analytical tools that got streamlined and optimized for performance in the cloud. To learn about that project or to see how DNAnexus can help with your IT infrastructure needs, stop by booth #217 in the exhibit hall. We’d be glad to say hello!